Dr. Scott Schreiber has been in practice for over fourteen years. He is double board certified in rehabilitation and clinical nutrition. 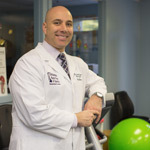 He graduated in 2004 from University of Bridgeport with a Doctor of Chiropractic and a Master of Science in Human Nutrition. Dr. Schreiber specializes in gentle manipulation, rehabilitation, nutrition, and lifestyle changes. Combined with years of experience, this allows him to see a wide variety of patients, including tough cases where other treatments have failed. Dr. Schreiber has spent thousands of hours in post-doctoral training including acupuncture, the McKenzie method, kinesiotaping, spider tech tape, rock tape, functional movement screen, post-surgical rehabilitation, and nutrition. These additional specialty certifications complement his board certifications, providing a unique approach to patient care – second to none. In addition to his chiropractic practice, Dr. Schreiber is a licensed nutritionist and a certified nutrition specialist. He is comfortable treating a wide variety of conditions, not solely musculoskeletal. His nutrition practice specializes in diet, supplementation, and healthy lifestyle changes so that you can feel and look your best. He uses a functional medicine approach that utilizes conventional and complementary lab testing to monitor your treatment. Dr. Schreiber is a member of the American Chiropractic Association and is on the board of the American Chiropractic Association Rehabilitation Council as the treasurer and also as marketing coordinator. He is the editor of the Journal of the North American Rehabilitation Specialist and is the past vice-president of the Delaware Chiropractic Society and was voted Delaware’s chiropractor of the year. Most recently, he was voted the 2018 Chiropractor of the Year by the American Chiropractic Association Rehabilitation Council. Dr. Schreiber is frequently asked to contribute or guest write on many topics related to health. He has been featured on television, online and in print for many media outlets, such as Plant-based by Nafsika, Huffington Post, the Active Times, livestrong.com, WebMD.com, bustle.com, zliving.com, healthcoast, and gowellpath.com. Dr. Schreiber can see patients without a referral and in-network with most insurances. He can be reached via his website www.mnspineandsport.com or socially on Facebook, Tumblr, Twitter, LinkedIn and Pinterest. 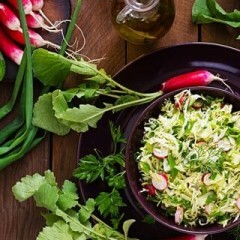 How Embracing A Plant-Based Diet Can Give Bountiful Health Benefits!